Live, work, and play! 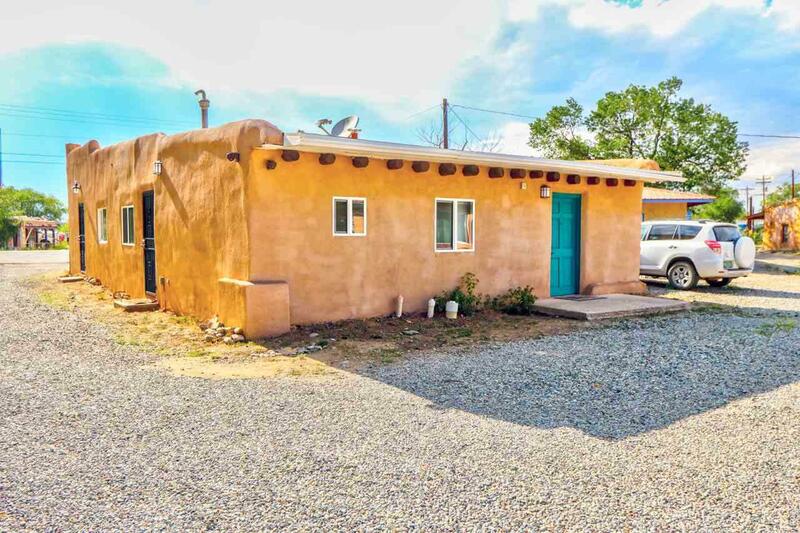 This wonderfully located property just 1.5 miles north of historic Taos Plaza and across the street from Orlando's Restaurant is ready for anything! 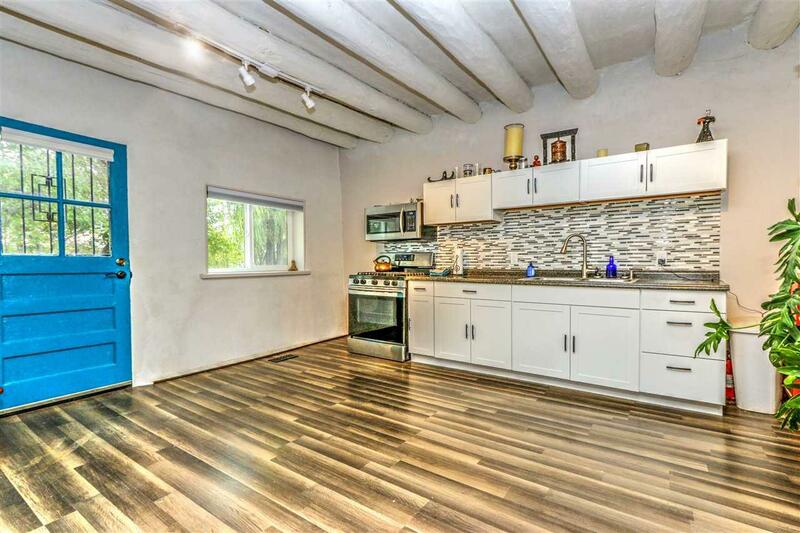 Alongside the irrigation ditch, you'll find this newly remodeled adobe gem has vigas, new easy-to-clean Pergo-style flooring (durable and terrific for high traffic), a variety of upscale finishes, a 1BR/1BA/768sf living space in the back, and a 1075sf studio in the front, which includes a large open space plumbed for a possible future kitchen, 2 smaller rooms, and a half-bath which is plumbed to accommodate a possible shower or tub. The basement, which contains an original adobe safe from the early to mid-1900s, would make a great cellar, and currently houses a new high-efficiency heating system, water heater, sump pump, additional plumbing for future possibilities, and data cabling that's wired throughout the building. There are two security systems, exterior security cameras with a Network Video Recorder, and updated electrical throughout. The property has county zoning, which potentially opens up nearly endless possibilities for mixed-use space. 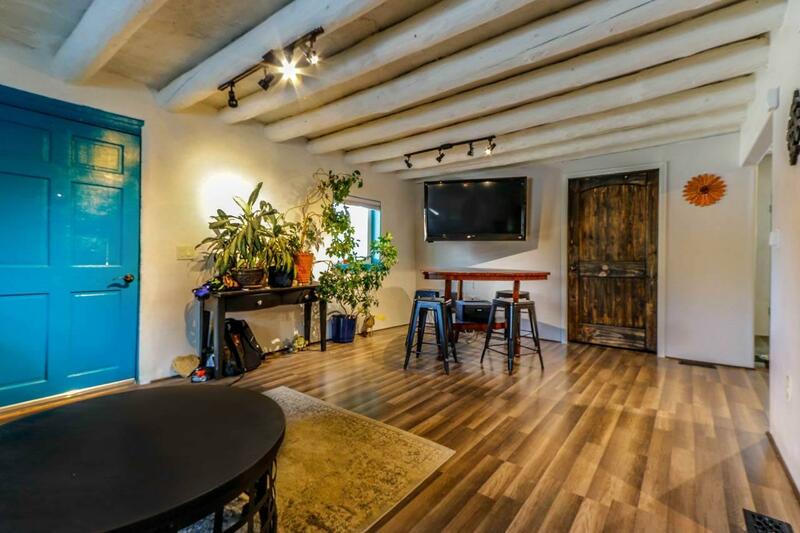 Open a shop or gallery in the front and live in the back, use front as a studio, rent both spaces, renovate into a single-family dwelling, or find another way to put this space to work for you. 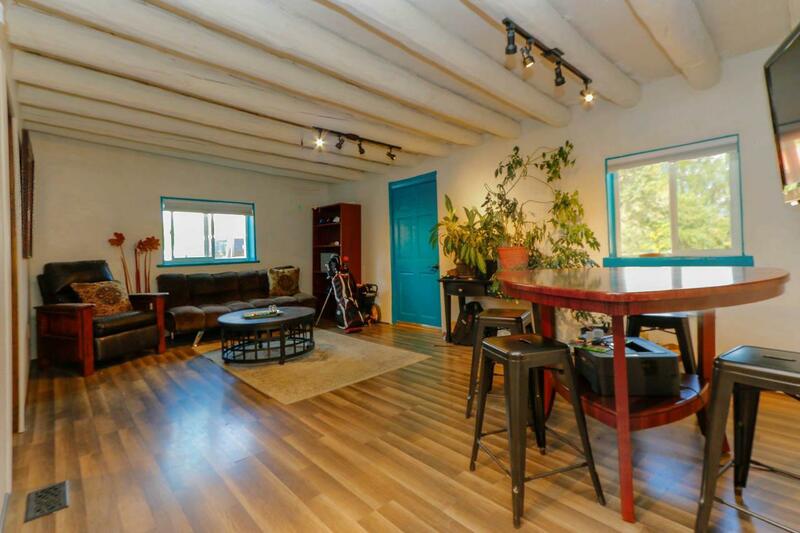 Taos, with its big-city amenities, arts, culture, and outdoor recreational opportunities, isn't your ordinary small town--and this property is equally extraordinary.